April 2019 update: The public alpha of GoldpawUI6 will be ready soon! We're currently in the process of setting up some user configurable choices for the actionbars, as some things just has to be there for a public version, alpha or not. Follow us on the twitter link below, and we'll keep you updated! I found a bug, where to report? Don't. 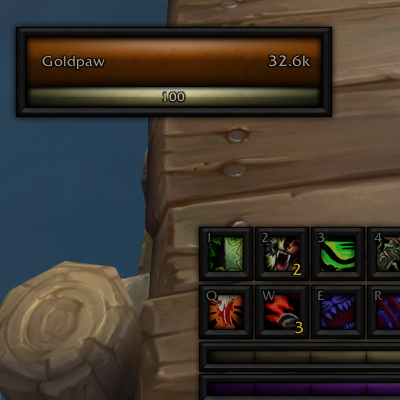 This was a hastily put together preview version, and we'll have a fully usable alpha of GoldpawUI6 ready very soon!